Galeb G2 was one of the best two-seat jet trainer and light ground-attack airplane. Plane was developed during the 1950s as a replacement for the Lockheed T-33 in service with the Yugoslav Air Force. Production started in 1965 and ended in 1985 with 248 aircraft delivered. 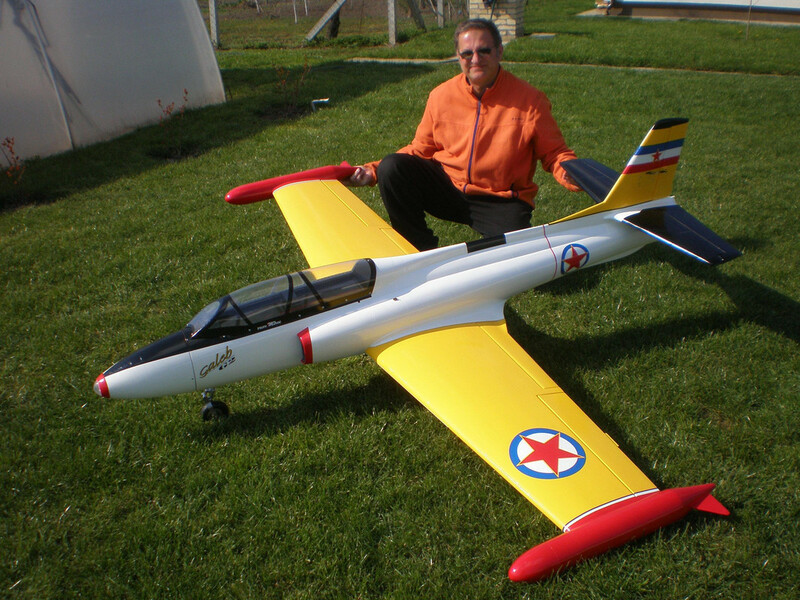 "Mirce Models" offer two short kit, so you can choose between 1/5 or 1/4 scale Galeb G2 RC jet model. Length: 2065 mm / 81,3"
Almost 300 hours was used to draw complete model in Catia 3D program!!! That is important to accentuate, because drawings allow to fit all part before production. In combination with 3D drawing, parts fit perfectly and modeler need minimum time to assemble wooden kit. During model building, you need plans just for wing build. Fuselage have their jig for easy compilation and ailerons, rudder, flaps assembled as a puzzle!!! Anyone with previous model building experience can easily build this model. This is one of the easiest jet model for fly, thanks to small weight and big area. 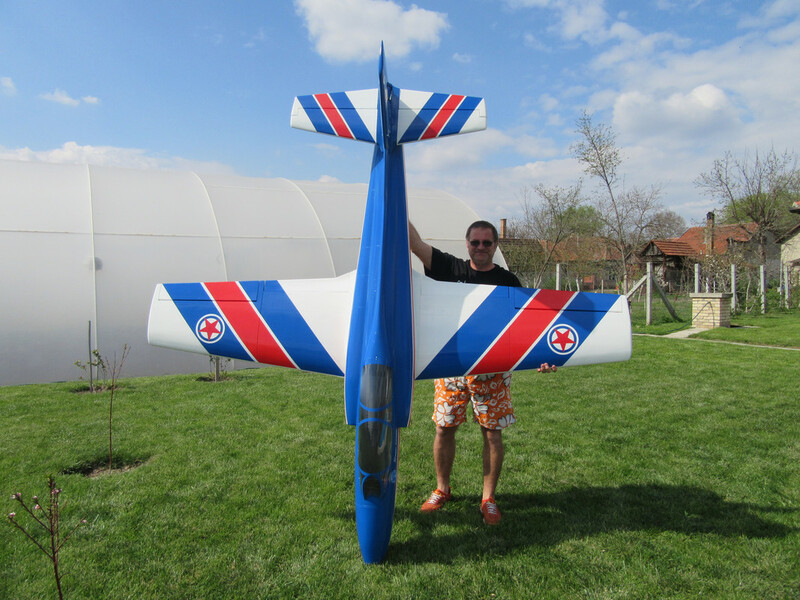 G2 model, as well as the real Galeb G2, fly smooth, like big trainer. Because grass and bumpy airfield we have here, wing construction is quite robust, especially around landing gears. I use Hitec HS 645 MG servos on all surfaces, only digital servo (HS 5645 MG) is for nose wheel. More about this products you can see here. Parts from list are used in model we build. "Mirce Models" recommends covering the air frame with 18 gr/sq meter fiberglass cloth and epoxy resin. Shipping is not in wooden kit price.